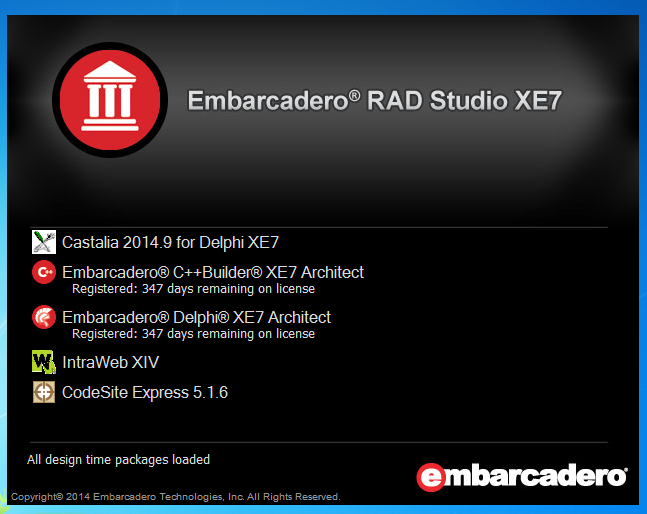 Castalia is a great addition to the Delphi IDE and Embarcadero offers a free license of Castalia to all XE7 developers. That's a great offer. 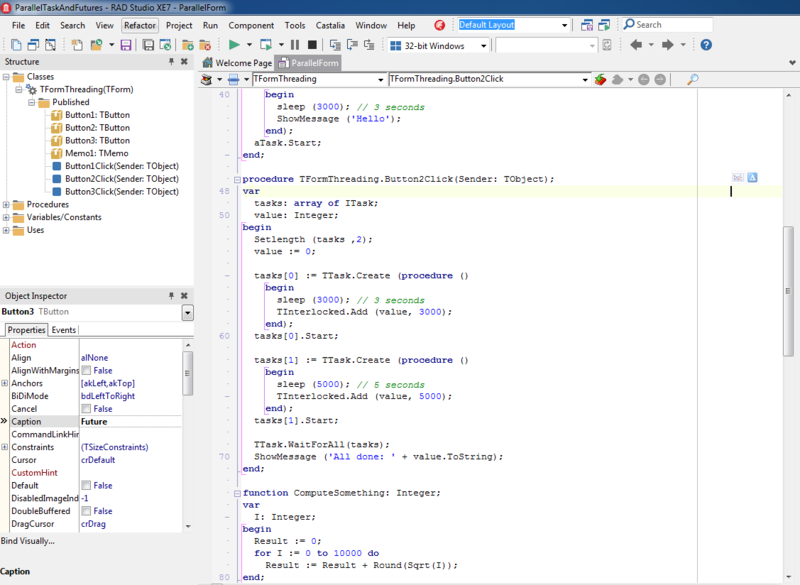 Castalia is a great addition to the Delphi IDE and Embarcadero offers a free license of Castalia to all XE7 developers. That's a great offer. If you are already on XE7, you an download your copy of Castalia from cc.embarcadero.com/item/29995. If not, what are you waiting? Buy before the end of September and you get your 10% discount plus free Castalia! OK, enough promotion... but I guess you can read from my words I'm particularly happy about this deal with TwoDesk and looking forward for more opportunities. Now, while some of you might have seen Castalia, I'm pretty sure others have little idea about what it is. Beside visiting www.twodesk.com/castalia/ you can get a glimpse of the features it offers by reading this blog post. 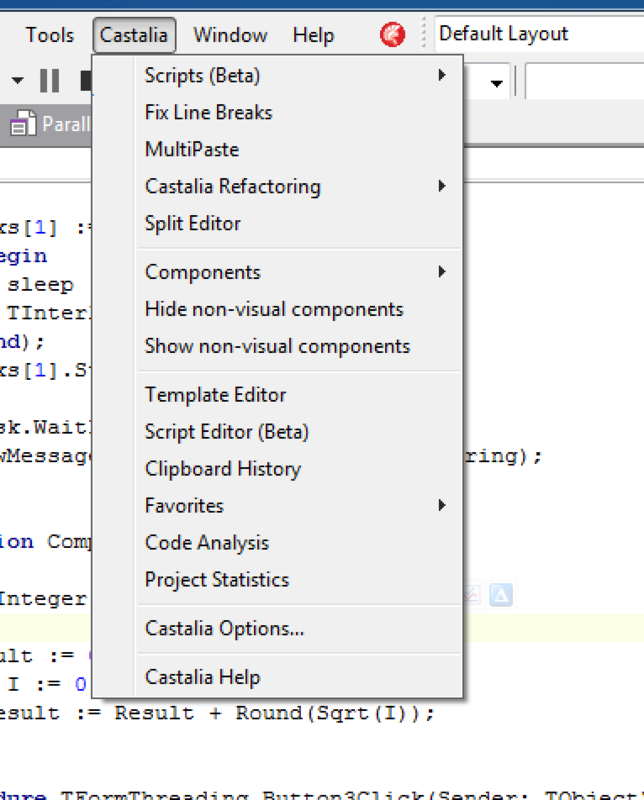 Castalia is basically a plug in of the Delphi IDE that adds a lot of features to the editor. 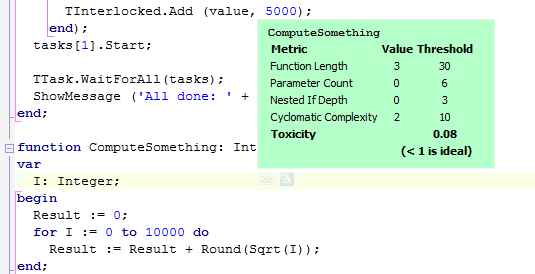 From unit navigation (with the list of unit sections, classes and methods in upper drop downs), to begin-end blocks highlighting, to in-place metrics and refactorings, you gain a lot of power and have it really at hand. While some of the features are also part of our IDE, they are often a little more hidden and for this reason might end up being less used. going to purchase it soon because it's become vital. starts. What could be wrong? 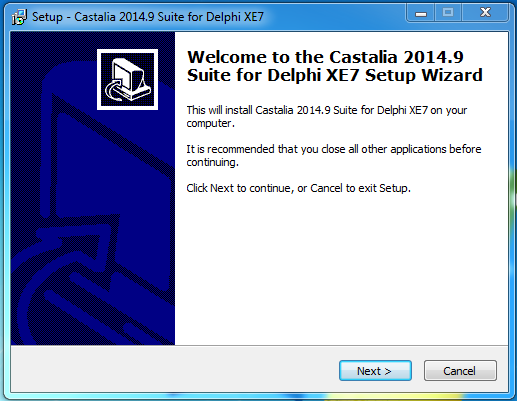 Free Castalia for Delphi XE7? Gone with the wind? install the free XE7 versions. But. It is gone to the wind. general bug fix of eating memory ? ?